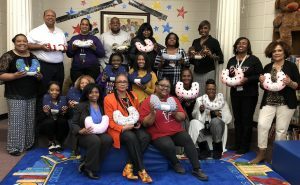 One DeKalb County School District (DCSD) community has found a creative way to sew and show support for Breast Cancer Awareness in metro Atlanta. 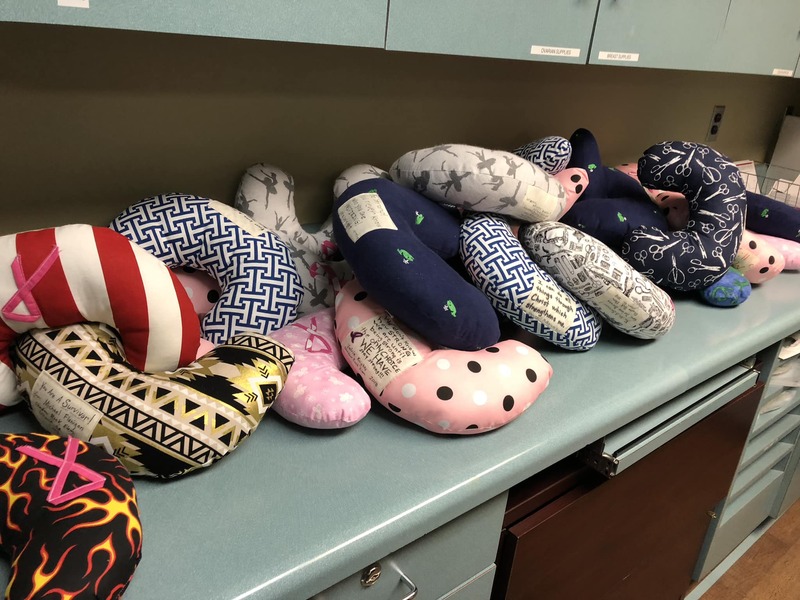 Shadow Rock Elementary’s Sunshine Committee recently crafted several specialized support pillows for cancer patients as part of Breast Cancer Awareness Month, which took place throughout October 2018. The hand-crafted pillows bear personalized messages of encouragement, healing, and support for patients as they go through treatment. The pillows were personally delivered to Decatur Emory Hospital by Shadow Rock Sunshine Committee president Darlene Barnes and parent liaison Pearl Moten. Shadow Rock principal Dr. Sylvia Sanders developed the project as an opportunity to provide service to the DeKalb County community and inspire others in metro Atlanta. “With this specialized project, Shadow Rock has established another great community partnership that will prove beneficial to Shadow Rock families,” she said. “The opportunity to give hope, and to serve, are key ingredients to developing long-lasting partnerships between schools and their communities. Sanders said Shadow Rock is committed to empowering students with the confidence, social skills, and intellectual capacity required to succeed in the modern world. With this initiative, it also illustrates a commitment to empathy. “Shadow Rock is teaching students to have empathy toward others and teaching students how to spread hope, love, and inspiration to others,” she said. For more information on Shadow Rock Elementary, visit the school website.